Meet your guide near Notre-Dame Basilica to begin your walking tour of Old Montreal, the city's historic heart. Admire the the masterful Gothic Revival architecture of this basilica as you follow your knowledgable local guide at a leisurely pace. You'll learn about this amazing city's rich history, French heritage and bustling culture as you roam the streets and visit top Montreal attractions such as Place d'Armes, Royal Bank, Place Jacques-Cartier, St Jacques and City Hall. Stroll down St Paul Street and explore Champ de Mars, a public park that was once the site of Montreal's city walls. 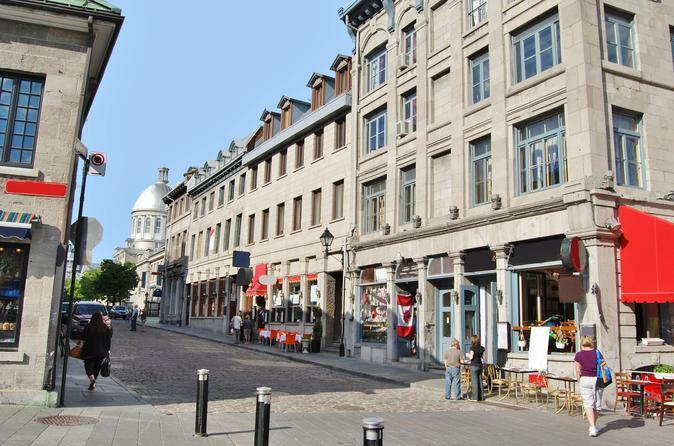 Don't miss Bonsecours Market, which has served as Montreal's main public market for more than 100 years! Your tour will conclude here. You can choose to tour the east side or west side of Old Montreal on a 1.5-hour tour, or tour both the east and west sides on a 3-hour tour.